Developments in Economic Geology, 7: Nuclear Methods in Mineral Exploration and Production elaborates on the status of applicable nuclear techniques used in mineral exploration and production. The selection first offers information on radiometric methods and X-ray analysis in mineral exploration. Discussions focus on gamma-ray spectrometry, radon detection, autoradiography of uranium and thorium, X-ray diffraction, and application of X-ray analysis. The text then examines X-ray fluorescence geochemical analysis on the surface of Mars and radioactivation methods, as well as nuclear geochemical measurements of planetary surface; radioactivation methods for mineral exploration; and radioactivation sources. The publication takes a look at nuclear well logging for petroleum and the potential of plowshare for resource development. Topics include natural radiation, induced logs, description of potential applications related to energy resources, and obstacles to the development of a commercial plowshare program in the U.S. 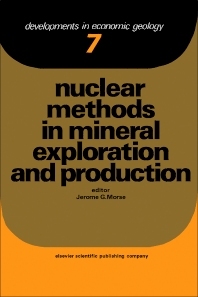 The selection is a dependable source of data for readers interested in the use of nuclear techniques in mineral production and exploration.